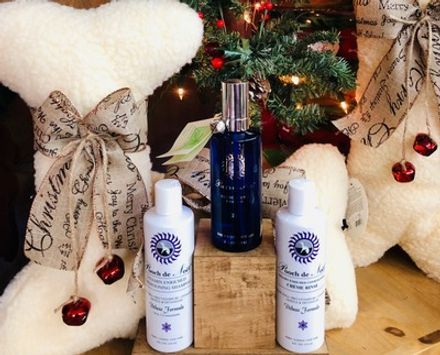 Make the holidays extra special with Pooch De Noel. This unisex fragrance incorporates the regal Pear Williams for an elegant fresh note. Harvested exclusively in Switzerland during the fall, this delicate fruit emits a characteristic fresh, green scent that will have your pup smelling festive for the season. Each limited edition cobalt silver bottle is numbered and comes with a fine mist bulb vaporizer, making it a wonderful holiday gift for the dog lover in your life. 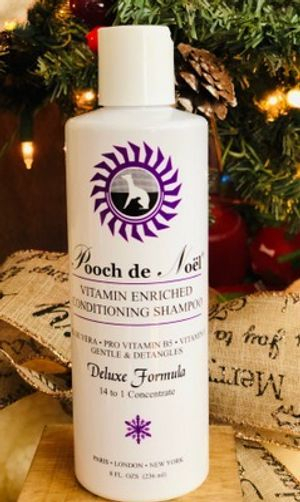 The Noel line is our Vitamin Enriched Shampoo , which is a one step conditioning shampoo. Not always do you need to follow up with a creme rinse, it's user preferences. 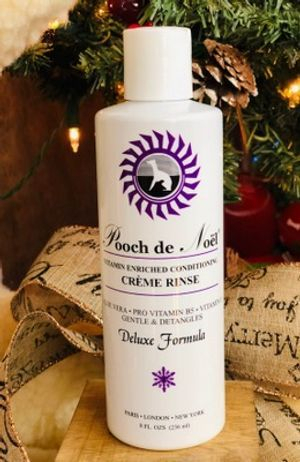 by following up with the creme rinse is giving your pooch nothing but the best the inriched formula is with out dought going to give you the best overall grooming experience ever the softness that this formula will bring to your pet is nothing but the best and very much needed in the wither months. Pooch De Noel 6oz . This unisex fragrance incorporates the regal Pear Williams for an elegant fresh note. Harvested exclusively in Switzerland during the fall, this delicate fruit emits a characteristic fresh, green scent that will have your pup smelling festive for the season. 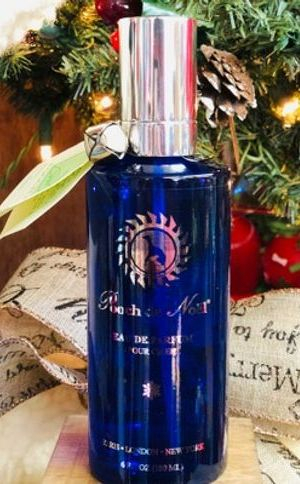 Each limited edition cobalt silver bottle is numbered and comes with a fine mist bulb vaporizer, making it a wonderful holiday gift for the dog lover in your life.